We have received 64 reviews of I Have No Secrets . You can add a review or scroll down to read reviews. To send in your review of I Have No Secrets , please fill in the info below and click the button labelled Send Review Now. Reviews will be checked by our team before they appear on the website. Your last name will not appear on the site, but we need to know who you are in case you win a prize! Penny has also worked as a primary school teacher, a leader on holidays for severely disabled children and as a magician. 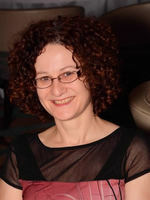 Read an interview with Penny here. This book was incredible! It was so interesting and really well written. I couldn’t put it down! I would recommend this book to a friend! Poppy gave I Have No Secrets 5 out of 5 and now plans to read Dragon's Green by Scarlett Thomas. This is the best book ever because some things are not slipping out and it makes you imagine what it could be that is happening. G gave I Have No Secrets 5 out of 5 and now plans to read Dragon's Green by Scarlett Thomas. THE BOOK WAS REALLY GOOD, AND REALLY INTERESTING. SARAH gave I Have No Secrets 5 out of 5 and now plans to read Girls Can't Hit by T S Easton. This book was pretty good, one of my favourites even but there was one I liked even more so I couldn't rate it 5 out of 5 sadly. Ivesson gave I Have No Secrets 4 out of 5 and now plans to read Dragon's Green by Scarlett Thomas. Erin gave I Have No Secrets 5 out of 5 and now plans to read Dragon's Green by Scarlett Thomas. This is so well written that I actually felt like I was sat in that wheelchair, feeling Jemma's frustration. This book made me think more about cerebral palsy and I am now interested in the complex subject. marlie gave I Have No Secrets 5 out of 5 and now plans to read Dragon's Green by Scarlett Thomas. I the book was really emotional, my heart beated faster every time i turned a page over. Alex gave I Have No Secrets 5 out of 5 and now plans to read Welcome to Nowhere by Elizabeth Laird. I have no secrets didn't really strike me as an exciting book at first, but my curiosity grew exponentially the further I got into the book. It was quite well rounded off at the end. I felt pleased for the characters when they found Sarah and I really enjoyed the anticipation. However I do wish the character Olivia had more of an explanation for stealing the money from her mothers purse. Over all I really enjoyed I have no secrets and the morals it portrays! Charlie gave I Have No Secrets 5 out of 5 and now plans to read Dragon's Green by Scarlett Thomas. I really enjoyed this book because of the huge plot twist towards the beginning of the book. I cannot explain how hard it must be not to be able to do anything apart from seeing, hearing and thinking. Thomas gave I Have No Secrets 3 out of 5 and now plans to read Welcome to Nowhere by Elizabeth Laird. This book was so well written. I felt like I was Jemma and it was so hard to put down. I think there should be more books like this one. Marlie gave I Have No Secrets 5 out of 5 and now plans to read Welcome to Nowhere by Elizabeth Laird. I have never read a book like this and I liked the storyline. It made me frustrated when Jemma needed to tell people something but couldn't. Jodie's character could have been explained more I think. I didn't quite understand her and I like to when reading a book. Whilst reading this book, I struggled to put it down because I wanted to see if Jemma could solve the mystery! Ellie gave I Have No Secrets 3 out of 5 and now plans to read Ink by Alice Broadway. Jennie gave I Have No Secrets 5 out of 5 and now plans to read Dragon's Green by Scarlett Thomas. I really like reading this book because it was really heartwarming knowing that there are people out there that can’t talk or move, but can still help in emergencies. My favourite character was Sarah because she took really good care of her “sister” and she never wanted to hurt anyone’s feelings. My least favourite character was Dan because he was really mean to Jemma. I rated this book a 4 out of 5 because I found the book interesting and other than a few sentence mistakes it was really good. Some parts of this book was really unexpected, like finding out someone that they knew really well did something really bad. The book I would like to read would probably be welcome to nowhere. Jasmin gave I Have No Secrets 4 out of 5 and now plans to read Welcome to Nowhere by Elizabeth Laird. Jacob gave I Have No Secrets 3 out of 5 and now plans to read Dragon's Green by Scarlett Thomas. I absolutely adored this book!If given the chance I'd have read it in one go!I will definitely re-read this book a lot as the story had me on edge and really touched me as well. I'm definitely hoping for a sequel to "I have no secrets" as I'd love to know what happens next for all of the characters. Kaitlyn gave I Have No Secrets 5 out of 5 and now plans to read Girls Can't Hit by T S Easton. I thought that the book expressed a lot of emotion, especially the frustration of not being able to talk or move. The story was unique but incredible as I have never read a book like this before, it flowed nicely which made the book easy to read and understand. Also, it was easy to pick it back up and immediately understand what was going on at that point in the book. The character development was also really strong as it introduced new characters into the story and integrated them into recent events. Overall, i think that the book was amazing and i will definitely read a similar style again. Alasdair gave I Have No Secrets 4 out of 5 and now plans to read Girls Can't Hit by T S Easton. I have no secrets is a book about a girl named Jemma who is paralyzed so she cant move or speak. One day someone is murdered and she knows who the murderer is so she has to find a way of telling people. I thoroughly enjoyed this book and truly felt joy for Jemma when she got the sniff machine. The ending was great and was a perfect way to wrap the book up. Alfie gave I Have No Secrets 4 out of 5 and now plans to read Dragon's Green by Scarlett Thomas. This book is completely different to anything I've ever read. It's not a book that I'd normally read but I'm glad that I did read it. I feel as though you could understand the characters extremely well and by the end of it i felt as though i actually knew them. Emily gave I Have No Secrets 4 out of 5 and now plans to read Dragon's Green by Scarlett Thomas. This is on of the best books in the short list. Each chapter had this little element which pulled you in. I really enjoyed this book. At first I didn't quite understand but when you read farther I explains it all.as you Read you felt how jemma would feel. Adaugo gave I Have No Secrets 5 out of 5 and now plans to read Dragon's Green by Scarlett Thomas. This was a truly incredible book with lots of twists and turns and an amazing ending. One i started reading it i could not stop as it was so good. I would recommend this book to all kinds of readers especially ones that like tension and suspense. This book is about a 14 year old girl called Jemma who suffers from a severe case of cerebral palsy (she can't move or talk )and she has been told a huge secret about a murder so the book is talking about how she deals with that situation. Overall,this was an amazing read. Sneha gave I Have No Secrets 5 out of 5 and now plans to read Welcome to Nowhere by Elizabeth Laird. Ellis gave I Have No Secrets 5 out of 5 and now plans to read Welcome to Nowhere by Elizabeth Laird. I don't think I could imagine a world without movement or speech. I don't think anyone could unless you're in that position. Everyone knows that it is even harder when you can't tell who the killer is. It's like you want to scream and shout at them and just tell them everything you can, but she can't. That's what I would define as frustration. She has never spoken a single word, no matter how hard she tries.She has never moved a single inch, no matter how much effort she puts in. That is her life at 14 years old. I can not say "I understand" or "it will get better, soon". No. Not many people can at all. She finds a way though, no matter how hard. Whether she can speak or not.Whether she can move or not. She just has more progress and more to get out of it. It is an amazing book, everyone should read it. It is an eye opener as well as a good story.You do not realize how good you have got it until you don't have it anymore. Don't take advantage of movement or speech because it could walk out soon. Natasha gave I Have No Secrets 5 out of 5 and now plans to read The Extraordinary Colours of Auden Dare by Zillah Bethell. I loved this book because I could really understand the characters and vision them next to me talking (or not talking if it was Finn or Jemma). My favourite character was Finn because he related to Jemma as he didn't speak and their relationship as a fostered brother grew by the end. This book was a new style to me and defiantly a style I would read again. Evan gave I Have No Secrets 4 out of 5 and now plans to read Welcome to Nowhere by Elizabeth Laird. I love this book.It based on real stories and its bringing real people with disabilities young teens who might not know about them.I also the dramatic changes that happen and how even though Jemma cant do everything she manages to do extraordinary things. Ruby gave I Have No Secrets 5 out of 5 and now plans to read The Extraordinary Colours of Auden Dare by Zillah Bethell. I love this book so much.I don't usually like mystery books but this one is so good, I would recommend it to anyone. When Jemma gets to talk to Jodi its amazing. I love the ending! carys gave I Have No Secrets 5 out of 5 and now plans to read Welcome to Nowhere by Elizabeth Laird. This was a book I was putting off reading but when I started to read I understood how it must feel to have her condition. I would give this book 5 but I feel like Jemma's sister was underused and she could be used for more but isn't. Bob gave I Have No Secrets 4 out of 5 and now plans to read Ink by Alice Broadway. I really enjoyed this book as it was interesting and easy to get hooked onto. I also loved this book because it's about determined disabled people, which aren't that common. My favourite character in this book was Jemma because she is a very determined person and helps find the murderer even though she is disabled. I also can't imagine what it would be like to have the same disabilities as Jemma, not being able to move or speak! I wouldn't be able to endure it, which is why my favourite character is Jemma, it must be so frustrating! The plot twist I definitely didn't expect was her finding a way to communicate to find the murderer. A book needs a good plot and characters you can picture in your mind. A book also needs to be easy to get into and that is exactly what I Have No Secrets has got. Therefore, I give this phenomenal book a 5 out of 5. This book is a one of a kind. I would recommend this book to people who like adventure, mystery and books about all disabilities. Harneeka gave I Have No Secrets 5 out of 5 and now plans to read Ink by Alice Broadway. While reading this book I could only imagine how frustrating it must be for someone like Jemma who can't move or talk, and it must be especially aggravating when someone thinks you can't hear just because you can't talk or move. This book was easy to latch onto and I got the flow straight away. Anna gave I Have No Secrets 5 out of 5 and now plans to read Ink by Alice Broadway. I personally found the book to be a bit boring as it took a while to get going. Madeleine Beth gave I Have No Secrets 3 out of 5 and now plans to read Welcome to Nowhere by Elizabeth Laird. In my opinion the story line and connection to the characters is the most important thing for a book. I have no secrets really demonstrates the difficulties of many different conditions and connects you the the characters like a family. Near the end of the book it was so tense that I could feel my heart beating. This book is definitely worth reading. Ben gave I Have No Secrets 5 out of 5 and now plans to read Dragon's Green by Scarlett Thomas. I felt this book was frustrating because Jemma had so many important things to say but couldn't get them across. I found getting into the book easy however the buildup dragged on a little too much. My favourite character is Finn because I found him easy to picture in my mind, due to the description. Joan gave I Have No Secrets 4 out of 5 and now plans to read The Extraordinary Colours of Auden Dare by Zillah Bethell. this book was amazing and i really enjoyed it.there are loads of things about it; the drama and i like how it is about a girl who is disabled because you can never really find any books like this. i have no secrets is one of a kind and i definitely recommend this as one of the best books in the leeds book awards. isabel gave I Have No Secrets 5 out of 5 and now plans to read Dragon's Green by Scarlett Thomas. Tanisha gave I Have No Secrets 5 out of 5 and now plans to read The Extraordinary Colours of Auden Dare by Zillah Bethell. I think this book has good potential and I enjoyed certain bits but some bits tended to drag on leaving me slightly bored. I liked the general plot but I'd make it more fast moving. Overall alright though. Evie gave I Have No Secrets 4 out of 5 and now plans to read Dragon's Green by Scarlett Thomas. In my opinion this book was extremely powerful; the reason being that it made me feel as if I was in the character's shoes. From my perspective the fact that Jemma cannot speak made the book unique and at times irritating because of the fact she could not express herself. To sum it all up I think this was a really interesting book, I would recommend this to everyone. James gave I Have No Secrets 5 out of 5 and now plans to read Dragon's Green by Scarlett Thomas. This book was utterly brilliant. It had amazing characters that you could easily connect with and try to understand what they were feeling. It was written in a way that gave you emotions and let you feel what you imagined they would feel in certain parts of the story. The story itself had an amazing plot, filled with mystery making you want to read more. Olivia gave I Have No Secrets 5 out of 5 and now plans to read Welcome to Nowhere by Elizabeth Laird. The book synopsis portrays this as a captivating thriller,however, i found that this was too slow moving to keep me hooked. The plot is somewhat interesting but to be honest would have preferred more of a mystery. Despite this, the characters are written very well and Jemma's story of finding her sister is intriguing and inspiring. Would recommend as worth a read. Martha gave I Have No Secrets 4 out of 5 and now plans to read Dragon's Green by Scarlett Thomas. It was a really captivating book - I felt like I was Jemma and that I was experiencing everything she did. There were parts when I thought I knew what was going to happen and then the plot went completely in the other direction. There was nothing I didnâ€™t like about it. Alice gave I Have No Secrets 5 out of 5 and now plans to read Welcome to Nowhere by Elizabeth Laird. I have never spoken a single word. That is the life story of fourteen year old Jemma who can`t talk. She has severe cerebral palsy and she can`t speak so people often confide in her with big secrets, ones no-one can know. At home she is surrounded by her loving family and all the children there are all fostered. There`s Finn who has severe autism, Olivia who has anger issues and Jemma`s carer Sarah. Sarah`s boyfriend seems like a charmer to everyone else but Jemma knows his true personality. One night Sarah goes missing. Can Jemma find her? This book was amazing, the subject was handled with clear empathy, compassion and care. Plot twists were well placed and when you think you can predict what`s going to happen next you can`t. I was always excited and intrigued to find out what happens next. My only critic is to make chapters longer and introduce the characters more. Helen gave I Have No Secrets 4 out of 5 and now plans to read Dragon's Green by Scarlett Thomas. This book was very interesting and I found that I couldn't tear myself away from the pages. I really enjoyed this book and I would highly recommend. Harrison gave I Have No Secrets 5 out of 5 and now plans to read Girls Can't Hit by T S Easton. I have read an extract of this book before and I thought it was amazing and I couldn't wait to read the entire thing. When I read the book I couldn't put it down and it is also really inspirational. Gemma is my favorite character because she is very strong and influential. harriet gave I Have No Secrets 5 out of 5 and now plans to read Ink by Alice Broadway. This is the first Leeds book awards book I have read this year that I genuinely enjoyed. The premise was a very original idea that created an interesting perspective with the first person narration. Even though I generally despise first person, this is an exception. Samuel gave I Have No Secrets 5 out of 5 and now plans to read Girls Can't Hit by T S Easton. I would recommend this book because there is constant suspense, there are red herrings and plot twists and everything that makes a good book. Jemma's character and personality is very likable. My favorite thing about it is her relationship with Sarah and Jodi, and how that effects her and makes her feel throughout the book. Tara gave I Have No Secrets 4 out of 5 and now plans to read Welcome to Nowhere by Elizabeth Laird. Maria gave I Have No Secrets 4 out of 5 and now plans to read Dragon's Green by Scarlett Thomas. I did not think this book would be good, but when I started reading this book I could not put it down. I like the way how in some parts of the book you have mixed emotions because of all that is happening and how happy it can get in very sad moments or when it gets excited and then leaves you in a shock.This is defiantly one of the best books I read by far and will defiantly recommended to many people! Anna gave I Have No Secrets 5 out of 5 and now plans to read Welcome to Nowhere by Elizabeth Laird. Originally, I wasn't really looking forward to reading this book, and thought it would be mediocre at best. However, I was pleasantly surprised by how much I enjoyed this. I found that the writing was cleverly done, and the author did a great job of translating the interesting concept into writing. A small (but noticeable) flaw in the book is the characters. While the protagonist and other characters were fleshed out, I felt that certain characters' arcs were unjustified/non existent. Eva gave I Have No Secrets 4 out of 5 and now plans to read Ink by Alice Broadway. this was a great book about a girl with a big heart and a life restricted to a wheelchair with no freedom. the bit where she met her sister for the second time and they had fun together. Qianye gave I Have No Secrets 4 out of 5 and now plans to read Dragon's Green by Scarlett Thomas. It was an incredible book...It was intriguing to think about what life would be like if you couldn't express yourself. Anna gave I Have No Secrets 5 out of 5 and now plans to read Dragon's Green by Scarlett Thomas. I found the book extremely touching. It focused on a point of view rarely written about, the way the main character (Jemma) had so much to say but could not say made you feel agitated and trapped for her. The only downside of the storyline was that almost everything major that took place seemed crammed into the last part of the book. Hannah gave I Have No Secrets 4 out of 5 and now plans to read Dragon's Green by Scarlett Thomas. This book is very dark and gripping: by page 21, murder had already been mentioned! It is an inspiring story about a quadriplegic girl with no voice, and how she solves a mystery that no one else can. I loved every line of it, and I think itâ€™s one of the best books Iâ€™ve ever read! Naomi gave I Have No Secrets 5 out of 5 and now plans to read Ink by Alice Broadway. katie gave I Have No Secrets 5 out of 5 and now plans to read Welcome to Nowhere by Elizabeth Laird. 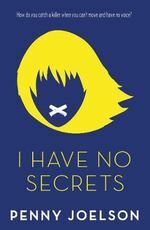 I have no secrets is and emotional thriller that takes you on the journey of a girl who suffers from severe Cerebal Palsy. Whilst it is frustrating and heartbreaking it also brings cheer and joy as you connect with the main character Jemma. Her story has high points and low points which will amaze you. The plot is skilfully thought out and brings heartache. I recommend this book to anyone who loves thrill,mystery and books that spark emotion . Jainaba gave I Have No Secrets 5 out of 5 and now plans to read Girls Can't Hit by T S Easton. I really enjoyed reading this book. It was very gripping and emotional. At points it was very frustrating and it made me feel connected to Jemma. It continuously builds tension and I always wanted to read more. It begins with a fairly cheerful atmosphere but progresses to a dull, mournful atmosphere. I would recommend this book to anyone who likes mysterious and tension building books. Emily G gave I Have No Secrets 5 out of 5 and now plans to read Welcome to Nowhere by Elizabeth Laird. I have no secrets is a amazing book full of twist and turns because it is a murder mystery . This book kind of says that no matter who you are and if you have a disability you can accomplish anything that you want if you try and you are patient just like any other human being . This book is a thrill and is a happy story at the same time. I would recommend this book to anyone who loves a bit of mystery and murder time to time. Hannah gave I Have No Secrets 5 out of 5 and now plans to read The Extraordinary Colours of Auden Dare by Zillah Bethell. I Have No Secrets is a rare case, in that it left me emotionally broken yet still left a warm and satisfying feeling.It had me tearing my hair out in frustration and soaking it's pages with tears of relief.In some places I thought scenes felt rushed and certain characters, such as Jemma's father, felt a little underdeveloped, but this still manages to be one of the most powerful books I have read in my life. The author has packed every page with the frustration and struggle of every day, in the life of a disabled teenager. This book is truly fantastic. Poppy gave I Have No Secrets 4 out of 5 and now plans to read Dragon's Green by Scarlett Thomas. Bethany gave I Have No Secrets 4 out of 5 and now plans to read Ink by Alice Broadway. The book "I have no secrets" is an inspirational one. You can feel Jemma's (the main character) emotions and understand how frustrated she is and the feeling of being invisible. I think that Penny Joelson has done an amazing job of writing this book as most people don't know anyone with severe cerebral palsy and wouldn't know what it is like to live with it, and this book gives you a brilliant insight into it. Sam gave I Have No Secrets 4 out of 5 and now plans to read The Extraordinary Colours of Auden Dare by Zillah Bethell. In my opinion this is one of the best standalone books I have ever read. It makes you want to shout at some of the characters, from time to time. But It also gives you an interesting view of the world which rarely gets wrote about. The writing is predictable but at the same time not what you expected. Over all I think this book is a great, interesting read that is basically faultless and could be a very good contender. I recommend this book to anyone. olliver gave I Have No Secrets 5 out of 5 and now plans to read Welcome to Nowhere by Elizabeth Laird. I think this book is very different from other books I have read as the main character cannot communicate and thus has very different relationships with people she knows. She seem to be looking out through one way glass on the dilemmas in the story and that glass is not shattered until she is given means of talking with others. It gives a unique perspective into the life of someone with a disability and makes you wonder what you would do in the situation. Jem gave I Have No Secrets 5 out of 5 and now plans to read The Extraordinary Colours of Auden Dare by Zillah Bethell. This book is one of the most thought-provoking and inspiring books I have read in a long time. I enjoyed it for many reasons but the main one was that until the last %20 of the book, your perspective was constantly locked inside 4 transparent walls, which made Jemma's voice much more loud and clear. It is only when Jemma is able to communicate that actual conversations are formed between Jemma and the other characters. I also enjoyed the way the book built up a tension between Jemma and Dan, and although Dan was the main person Jemma was worried about Richard and Olivia play major parts in warping your perspective on the book. In my opinion, the characters felt very real, especially Finn and his need to rock where he was sat, flap his arms and bang his head when he was stressed removed the need to describe the atmosphere at times as it gave a clear picture of how everyone was feeling. I didn't dislike it in any way and was able to enjoy it easily. This book is one of the only books I've ever read that has kept me up until about 2 in the morning trying to finish it. It was so good and is a real page-turner. William gave I Have No Secrets 5 out of 5 and now plans to read Dragon's Green by Scarlett Thomas. it was really good, and had such a sweet ending, which i loved. it was amazing to see how much technology developed, and how incredible and imaginative the sniffer thing was. Edith gave I Have No Secrets 5 out of 5 and now plans to read Girls Can't Hit by T S Easton. i love this book so much and i love the whole book and i just felt what the character was feeling. it shows the friendship of 2 sisters and i love the ending!!!! dee gave I Have No Secrets 5 out of 5 and now plans to read The Extraordinary Colours of Auden Dare by Zillah Bethell. Ella gave I Have No Secrets 4 out of 5 and now plans to read Girls Can't Hit by T S Easton. I really enjoyed reading a book from a totally different perspective to anything that I've ever read before. I love the main character (Jemma) and although she can't communicate with her foster family in the story, her voice is loud and clear in this beautifully written book. I cried at the start of chapter 42. Isn't technology wonderful! Miss Busby gave I Have No Secrets 5 out of 5 and now plans to read Welcome to Nowhere by Elizabeth Laird.